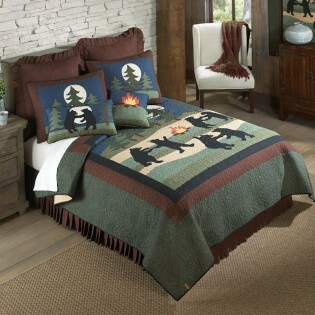 The Bear Dance Quilts feature a whimsical scene of black bears dancing around a forest campfire. These colorful quilts includes shades of brown, blue, beige, black and green with a touch of yellow and orange. Coordinating shams, pillows and bedskirts will give your room a finished look.